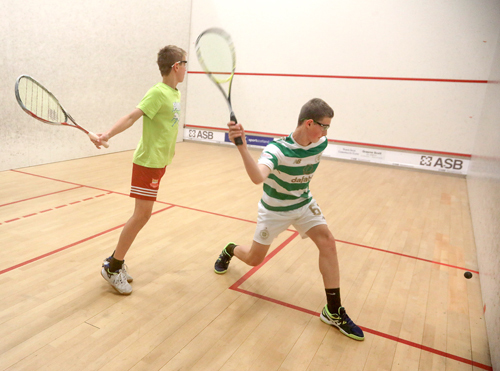 All eyes will be on the sixth Orkney Squash Open at The Pickaquoy Centre courts during this weekend’s sporting action. The county’s best players will face competition from players from Shetland, across the Highlands and Islands region and central Scotland during two days of action. Scotland internationalist Jamie Henderson is back to defend his men’s crown, with play starting on Saturday morning and the finals around lunchtime on Sunday. William Sichel is also set to start his latest challenge, attempting to complete the North Coast 500 route. The ultra-marathon runner sets off from Inverness Castle at 7am on Saturday, and he hopes to complete the 518-mile route in eight days — becoming the first person believed to have run it. Thirteen Orkney swimmers — Hamish Burgon, Kalvin Clark, Kieran Smith, Charlie Fulton, Ben Kolthammer, along with Kelsi and Jayden Taylor, Ella Leitch, Annie Spence, Libby Smith, Gracie MacLeod, Lucy Kenyon and Eve Wood — are heading off to the Buckie Age Group Meet this weekend.